Sooner or later, every mother will stop and ask herself, “Is this all I am?” God has instilled motherhood with meaning and purpose as part of His greater plan for humanity. 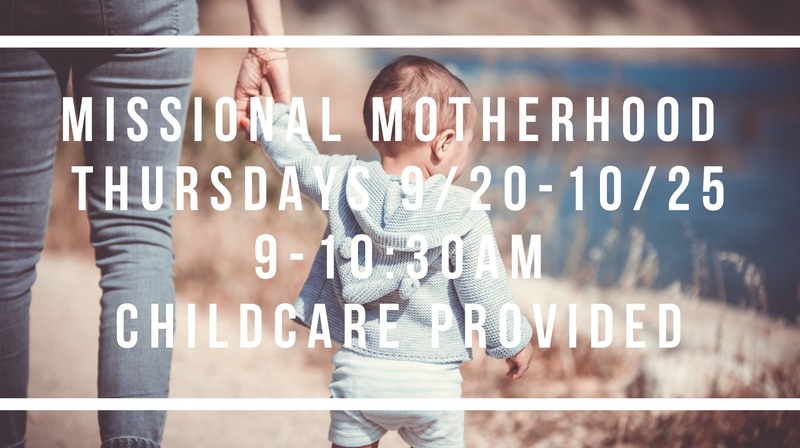 Whether or not a woman has been called to traditional motherhood, she demonstrates her nurturing gifts daily through caregiving, hospitality, discipleship, teaching, raising children and serving others. Join Gloria Furman in this 6-session Bible study as she looks to Scripture for evidence of God’s mission for motherhood and His greater purpose for each and every woman. We will study this topic through discussion, short teaching videos and personal testimonies of women within our own church. – Expand your understanding of motherhood based on Scripture and God’s plan. – Live up to the purpose and calling God has for you. – Learn how your everyday work fits into the grand plan of God. Vacation Bible School – In The Wild!